We are reckoned among the trusted Manufacturers and Suppliers of Automatic Gluing Machines (ZH1000B) from China. Automatic Gluing Machines we make available are flexible and can be used for diverse gluing applications. The main transmission system adopts imported a/c frequency converter and timing belts. We hold the expertise of delivering bulk orders of the Gluing Machines within the stipulated time. One can obtain the Machines at reasonable rates. 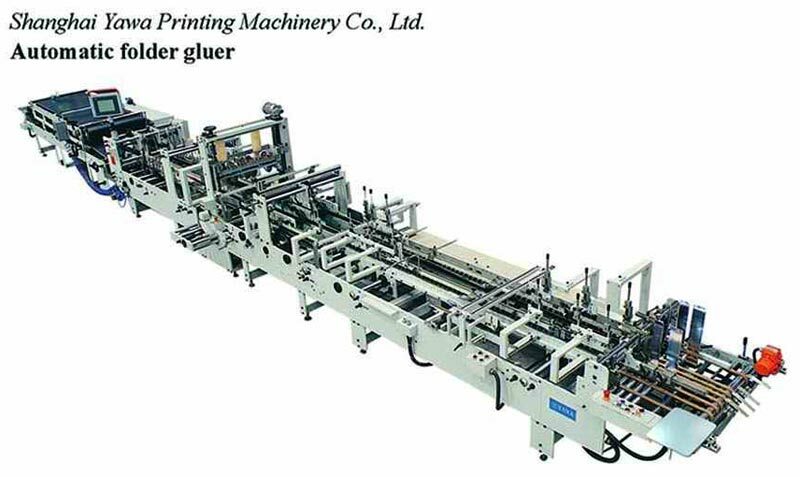 Humanized ZH800B automatic folder gluer is flexible and is widely used in folding gluing field to deal with many boxes such as soft and hard standard boxes, special boxes and also corrugated board boxes. Modularization design allows you to have multi function combinations to realize your diverse job requirements. Main transmission system adopts imported A/C frequency converter and timing belts. Selected brand rubber belts are introduced as transmission conveyor. LCD touch-screen HMI indicates machine speed, production and also trouble alarming. Parameters could be set and stored in the screen. Pre-breaker section, kicker counting, pneumatic pressure adjustment and remote operation control panel available with the machine make machine operation more convenient.